Enjoy fabulous, freshly prepared, home-cooked food in our cosy, family-friendly restaurant based in Heath village. Treat yourself to a light lunch with a warm welcome or an extravagant evening meal with fantastic customer service. Peruse our extensive wine list for a teatime tipple. We serve our delicious dishes when it suits you, whether it's a choice from the lunchtime or evening menus. Make sure that you leave room for one of our gorgeous desserts to avoid disappointment! Discover a new love with our continental menu or rekindle an old favourite with our traditional English dishes. Our mouth-watering food keeps people coming back for more. All our food is made-to-order using freshly sourced local produce. Book your table at The Elm Tree Inn, near Chesterfield, today! Monday to Thursday 12noon to 2pm and 5.30pm to 8.30pm. Friday and Saturday 12noon to 9pm. 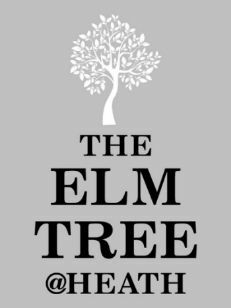 Call The Elm Tree Inn on 01246 494322 to book your table and enjoy freshly prepared, home-cooked food served by our friendly, welcoming staff. Alternatively, email us at info@theelmtreeheath.co.uk.